1) Melt chocolate in 1 cup milk on low heat or in a double boiler. 2) Place remaining milk in saucepan. Sift arrowroot slowly into milk. Add sugar, salt and and instant coffee, slowly warm milk, stirring constantly with a whisk. 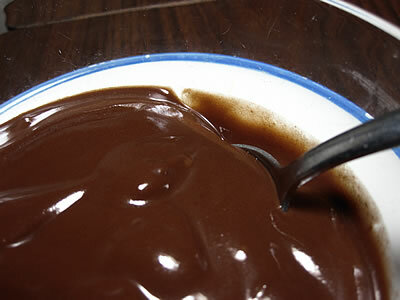 3) When milk is warm, add melted chocolate and continue to whisk over low heat until mixture is thickened. It will take about 20 minutes or so. 4) When thickened, add vanilla, butter and whisk until well incorporated. Chill until ready to serve, at least 3 hours.